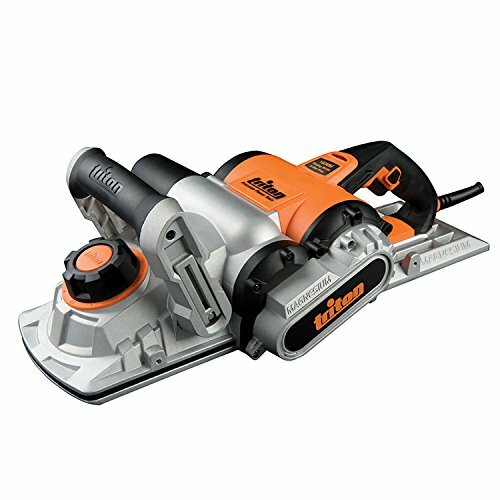 Triple Blade Planer 180mm 1500W Patented, 3-blade design and 10-position depth control knob for precise material removal. Adjustable front handle with soft grip for added comfort. Power indicator with live mains connection, ultra-wide 7" planing width. Includes wrench, dust connector, set guide fence and 3 x 65Mn 180mm blades. Cutting capacities: width 180mm, depth 2mm. No load speed 15000rpm. Weight 8.2kg.